Fasten your partitions with Smooth or Curve connector options. The Smooth collection accommodates varying gauges to create a clean and consistent look. 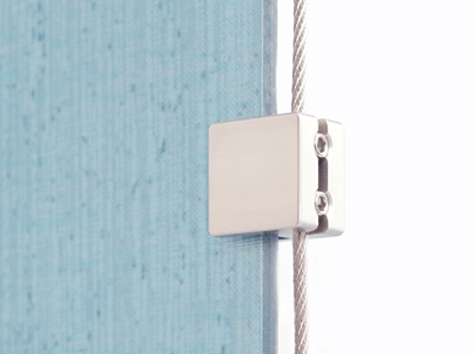 This hardware is ideal for floor to ceiling attachments. Using the Curve hardware allows you to introduce a 90° panel-to-panel connection, and to cold form thin gauge Varia Ecoresin. Cold forming gives the designer freedom to set their own radius on site. 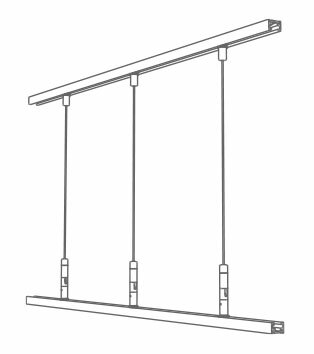 The 3form | Suspend system anchors to existing studs most commonly found in dry-wall ceilings and gives flexibility to installations by allowing designers to position panels anywhere along the track. 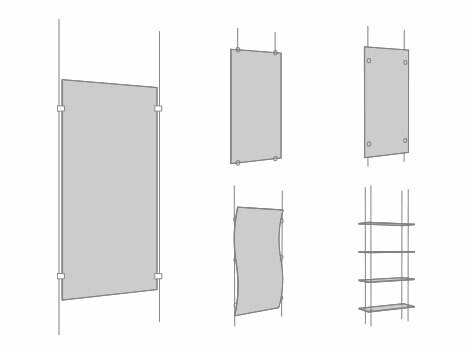 Suspend allows for a myriad of panel configurations to meet the design intent, these include: side fastening, top & bottom fastening, drill thru fastening, swivel fastening, and shelving installation. 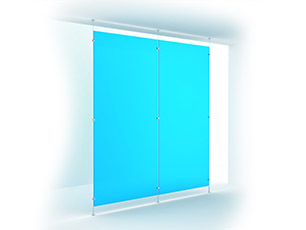 Use 3form Suspend to create weightless partitions in large, loft spaces. 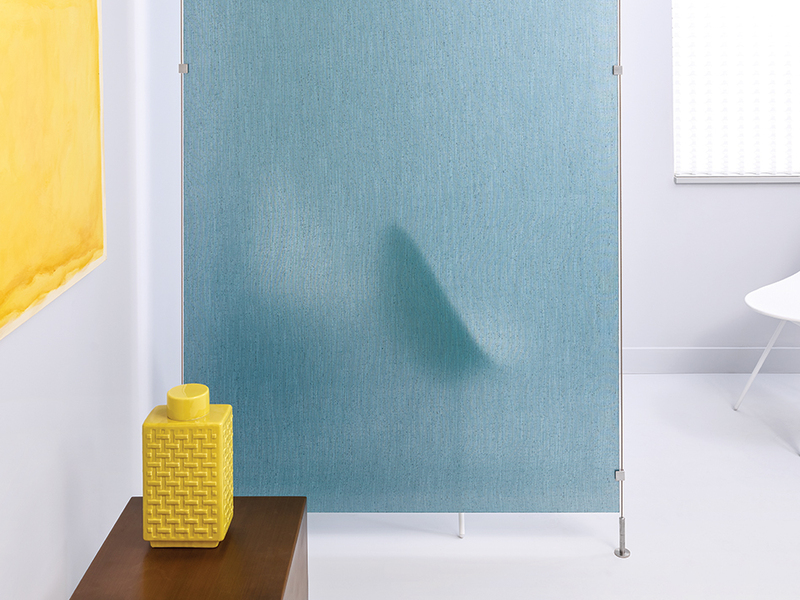 Divide space with minimal structure, create flowing shaped screens or intriguing translucent shelving. Composed of stainless steel 3 mm cable and components, Suspend compliments our signature material in both elegance and durability.